“William, I have been following your Corvair journey for several years and at 65 have been bitten by the bug. I am having to reorder my life as in the past five years I lost everything that I spent a lifetime gathering. However, I have a wonderful wife, two great sons, good health, and a job that pays about one tenth of what I used to make. [ You might say that I rediscovered lifes’ priorities.] Needless to say life throws lots of different challenges in your way and you have to decide how you want to handle adversity. Your recent comments about your painful 2-3 year journey of discovery displays the result of realistic introspection and the courage to discuss it. Having read a lot in my life, I have been drawn to your blog in part because I want to explore the world of the Corvair conversion process and learn how to tear down and rebuild an engine. However, the real attraction I have to your site is the content of your blogs. It is a rare treat to read honest thoughts and opinions mixed with philosophy that you have painfully accumulated over a lifetime. Joe, coming from you I understand this is both a compliment and a comment on writing subjects that would have appealed to Franz Kafka. literally your 1/4 right. In 1915 in Passaic NJ, an 16-year-old Jewish girl named Rita fell in love with a young Irish Catholic police officer named Michael who walked a beat in her neighborhood. Their secret love survived his deployment to the trenches of France, and a year recovering from his wounds. When they announced their engagement in 1920, both families disowned them. It only made them count on each other more. They had a very happy and devoted marriage. Children William and Eileen came along in 1925 and 1929. Rita was a very successful business woman and Michael became Chief of Police. Michael had a series of strokes related to war injuries starting 1953. They gradually robbed him of speech, mobility, thought, and then life. Rita cared for him at home herself until he passed away in 1960. We are getting down to the wire on registration for Corvair College #24 in Barnwell SC. Our previous posts on College #24 contain all the detailed information on the event. you can read these posts by clicking on the title block “Events” in the header above. Special note on registrations: The College has a required $79 fee to register. 100% of this money goes to our local host and is spent directly on the event to cover the meals, drinks and direct expenses like benches and lighting. All of P.F’s crew are volunteers, none of the money pays for anyones time. The learning and technical support at the College are “free”, as None of the tech staff, myself, Grace, Dan, Rachel, Vern, or Terry see any of the registration money. In fact we pay the same fee to register otherwise covering the food we eat and direct expenses would fall on our host. The only people we have traditionally exempted from the fee are the pilots of the Corvair powered planes flying in. (and some of them pay anyway) 95% of the people who attend colleges understand this system and are happy to comply.This is the 3rd College at Barnwell, P.F., who is the epitome of a fine Southern gentleman, would never make a public issue of the 5% of the people who compulsively must evade carrying their own share. I may have lived in the south for 27 years, but I am permanently excluded from Southern gentleman status by virtue of being raised in New Jersey, thus I have no problem giving the 5% a hard time on this. My father was born in Passaic NJ in ’25, my mother in Irvington NJ in ’27. One of them dislikes their governor the other is entertained by him. Here is what they agree on: Their Governor always acts like someone from NJ. Although I have had 27 years of trying not to be like that, I will channel my inner NJ on people who try to ‘beat the system’ on registering. Above, Ray Fuenzalita at CC#23 holds the sign of the three rules of Colleges. My talented and beautiful wife Grace painted the sign above. We have few rules at the Colleges, but we always abide by them. We lay off the top two subjects of conversation (as they rarely bring people together) and the third is that we teach builders to avoid products from totalitarian police states noted for poor quality. Since #24 will follow a national election by 72 hours, I am going to forewarn people, no kidding, I am going to have a zero tolerance for breaking rule #1. I have actually thrown two people out of colleges one from#8 and one from #11 for breaking this rule after two friendly warnings. Grace and I live in one of the few ‘battleground’ states. For the last months you can’t turn on a TV or radio, open your mailbox nor drive down the road without being bombarded by the most inane advertisements, all funded by PAC’s. I have had enough, and I am headed to the college to go have a good time with friends and be free of political trash. 601 builder/flyer Phil Maxson pointed out that he has never seen two people in a political discussion where one person suddenly says “You know, I have never thought of it that way, you sir have changed my mind.” It is the best commentary on this I have ever heard. For people who compulsively need to talk politics, take heart, Thanksgiving is right around the corner, and you can again fulfill the role of curmudgeon uncle/old hippy for the rest of your family, but you will not get a chance at CC#24. Above, Andrew Pietenpol, Grandson of Bernard, attends Corvair College #4 with and Grace and myself at Sun ‘N Fun 2003. Above, a bonfire at Corvair College #17 in Florida 2009, complete with 6 bad cases being smelted. Above, 601XL builder Larry Winger, left, with his one minute old 2700cc/Dan bearing engine at Corvair College #18 in Livermore CA. 2010. 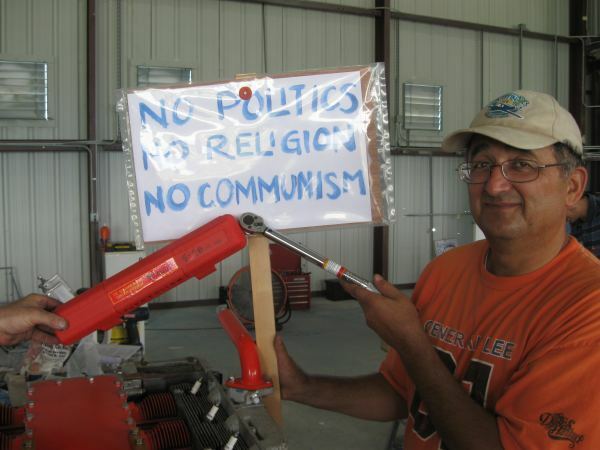 Today,Larry’s plans built plane is almost done. We heard last night that one of the best liked and most respected builders in the Corvair movement, Patrick Hoyt, changed his status from ‘builder’ to ‘builder & flyer’. 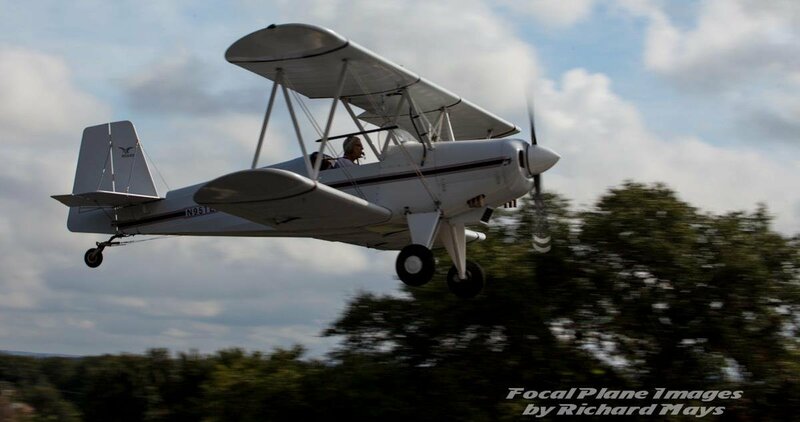 Patrick has been hard at building for a number of years, but has always rounded out his aviation seasons by heading to events like Brodhead, Oshkosh and a College. His easy-going nature and travels made has made him one of the movements better known builders, and many people were glad to spread the news that Patrick had passed the milestone of his first flight. Above is a picture of Patrick’s aircraft. It has a 650 canopy arrangement, but the airframe is a 601XLB. The photo is from an article written for the experimenter by Corvair/Wagabond builder John Schmidt. The whole article can be seen at this link: http://www.eaa.org/experimenter/articles/2012-05_learning.asp John and Patrick are good friends and the story is written with the benefit of this perspective. It also recognizes the positive support Patrick enjoys from his wife Mary. 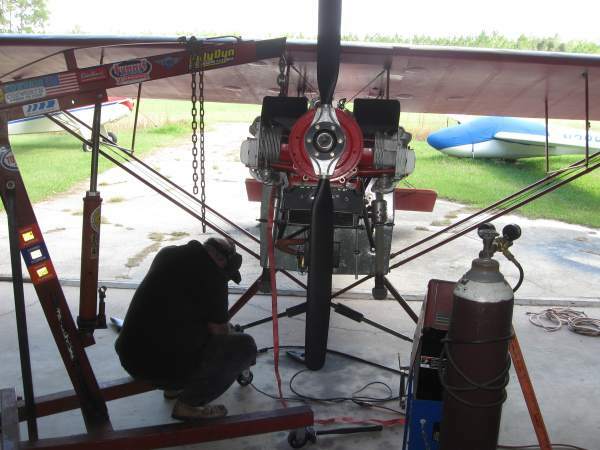 Patrick’s plane has a 2700cc Corvair with a Dan bearing and all of our Gold system parts and installation components. We are now entering our 9th year of Corvair powered Zeniths. Patrick’s plane is the 61st 601/650 to fly on Corvair power. After our personal 601 was the first in may 2004, It took 3 more years to get another four of them flying. Builders have their own pace, commitments and priorities and to see a large positive impact, you have to be in this for the long run. Patrick’s plane follows Jim Ballew’s 601 by only 3 weeks. Lately we have had new Corvair powered Zeniths taking to the sky at 15-20 day intervals. I regard builders as friends, not just customers, and it is very rewarding to play a role in the achievement of an ever-increasing number of builders. “Hi William. I took N63PZ up for the first time today, shortly after sunrise. Other than being the experience of a lifetime, the actual flight was uneventful. Wonderful that we live in a country and in a time in history when this is even imaginable. To think that I built this airplane and the engine with my own two hands, along with the generosity and inspiration of so many others. 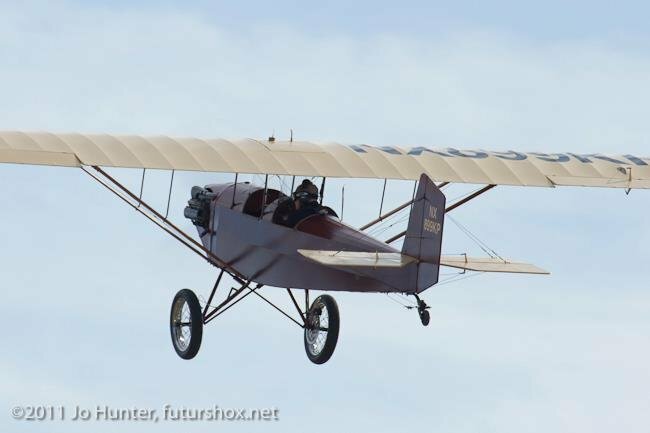 Sure it took a few years, but I did it, and today I flew it. I really appreciate everything that you’ve shared over the years. I’ve learned a lot from you. Above, Gary Boothe on the left and Patrick Hoyt on the right point to their hometowns on a map at Brodhead in 2009. The golden rule of homebuilding is persistence pays. Both of these men just started flying their Corvair powered planes, Gary his Pietenpol and Patrick his Zenith. In the experimental aircraft industry as a whole, the completion rate is a pathetic 20%. Salesmen, promoters and many journalists try to bury this statistic, because they belive it is bad publicity. If pushed, the three groups above are very quick to lay the blame on builders themselves. Our builders have a completion rate at least twice as high as the industry average. Why? because I know that the ‘blame the builder’ line is BS. The real reason why the rate is low is because our industry is focused on getting you to sign a check and buy something. That is their measure of success. Conversely, I am focused on getting people flying. These are two very different goals, and the first is never going to improve the completion rate, in fact it hurts it because neither a salesmen in search of a buyer of a journalist in search of an exciting story are likely to accurately describe the long term commitment that is the only path to success. 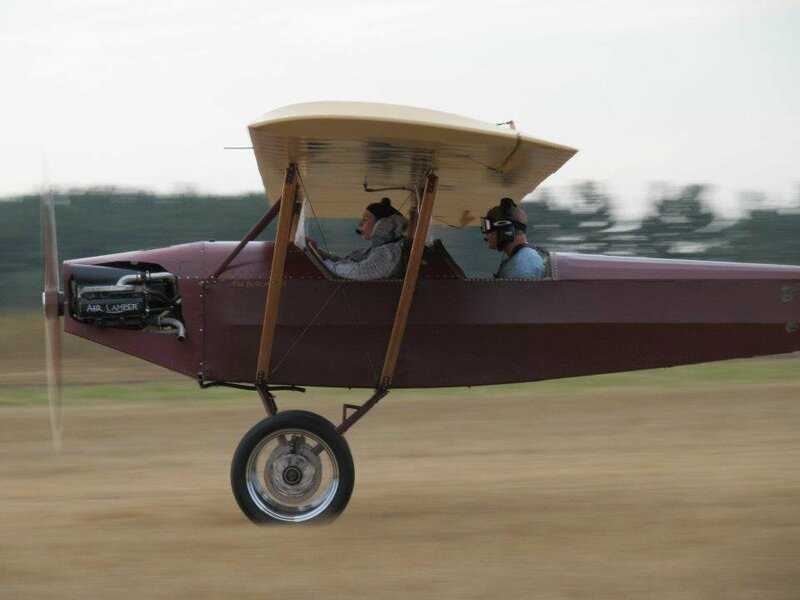 Both Gary and Patrick in the above photo spent many years building their planes. The strongest indictment of ‘blame the builder’ mentality is a simple one: The average life span on a new LLC formed in our industry, often positively reviewed in our press is 36-48 months to bankruptcy. If the average successful homebuilder takes longer than this to complete his plane, it is plain to see that the majority of our industry is focused on selling things, not supporting them. What builders are slow to learn is that these LLC’s are designed to have this short lifespan. They are not forced into it by troubled times. The goal of the people who started them was to get all the easy money of kit sales without ever having to follow through with far less profitable long-term support. the LLC format allows them to walk away without any financial responsiblity. Often they will be back with another LLC in a year or less, and journalists who are oblivious or playing along with the system don’t make the connections for new builders. 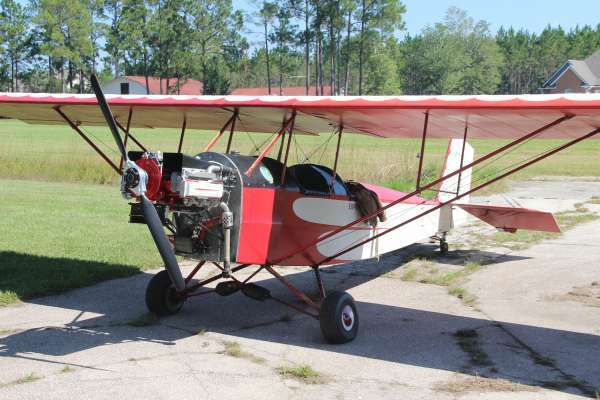 Last week I wrote a report of the weight & balance and performance of Bob Lester’s Pietenpol going from a 65 hp Lycoming to 100 Corvair ponies. Here are some photos of the conversion, and an important improvement Vern and I made in the plane at my hangar. Bob flew the plane over in the morning, we did the work, and he flew it home in the afternoon. In my book, this type of gear is an improvement over bungees. Bob had just replaced his bungees, but had a very hard time getting enough tension on them, so his plane sagged. 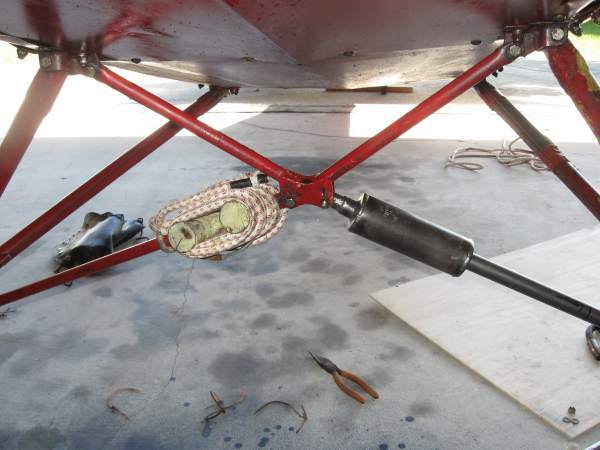 Bungees have worked on a hundred thousand light aircraft, but here is a look at an alternative system that I have used for many years. Above, Bob’s aircraft on the ramp in our front yard at 10 am. It is easy to see that the gear is splayed out terribly. 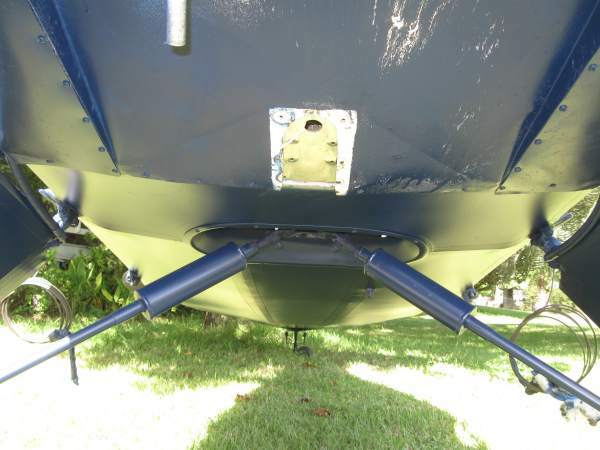 The bottom of the fuselage at the front gear attach fitting was only 22″ off the ground. I was motivated to fix this for Bob first because it is dangerous due to poor handling and the potential for a prop strike. Bob isn’t a welder, and I didn’t want him to keep flying it until something happened, The plane did have safety cables under the bungees, but they turned out to be boat cable, something I wouldn’t trust. Beyond all this, aircraft that have the gear like this look as if they are massively overweight. I didn’t want anyone to come to the false conclusion that it was the additional weight of the electric start corvair that was doing this. The only light aircraft that has the gear like this is the ugly “Texas Taildragger” Cessna 150 STC’ed conversions. Besides, gross wheel camber like this reminds me of lowered Honda cars driven by teenagers with their underwear sticking out of their pants, booming rap songs and 4″ diameter mufflers with the exhaust tone of a flatulent elephant sitting in a mud puddle. If you compare this with the photos of the aircraft when it still had the Lycoming, keep in mind that Bob had tried to re-wrap the bungees in between the photos. 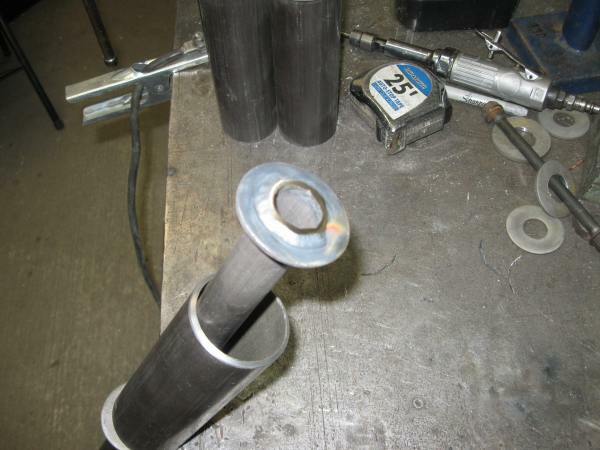 Above, I trim the ends of the main tube square in the lathe before welding. This makes it easy to get a great vee notch for penetration on the end caps. 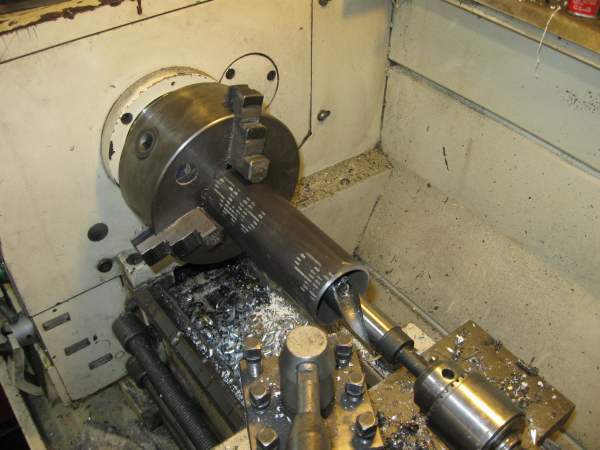 The 1″ bit is sticking into the tube to keep it from going into low earth orbit if it get lose in the chuck. 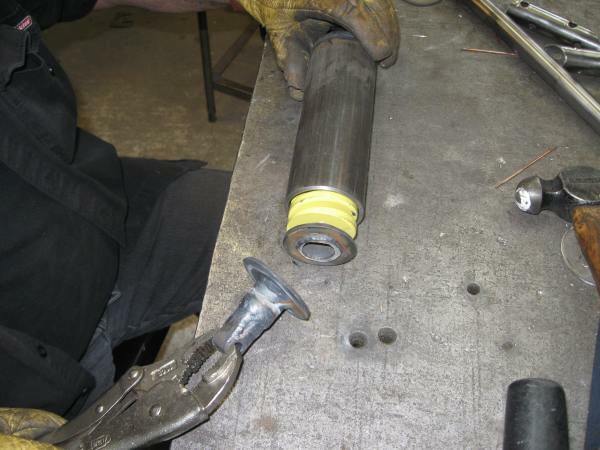 We trim the tube to 6.25″ overall. This length has a great harmonic”ringing” sound if you get the tool shape just so, it gives the feeling of the fillings in your teeth falling out. 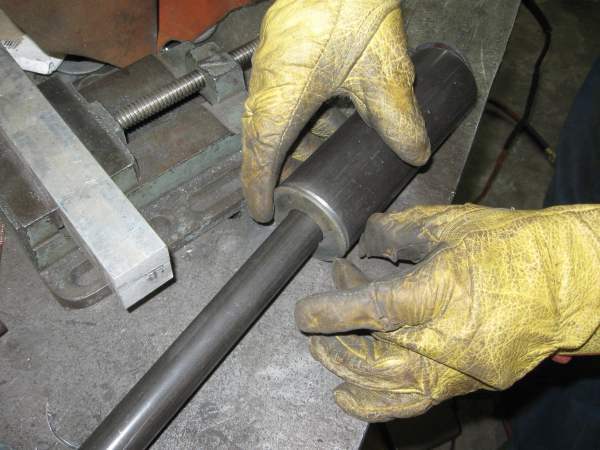 Above, a 2,25″ heavy-duty washer gets welded on each end of the main tube. The hole in the middle of it has to be drilled for a slip fit on the 1″ tube. 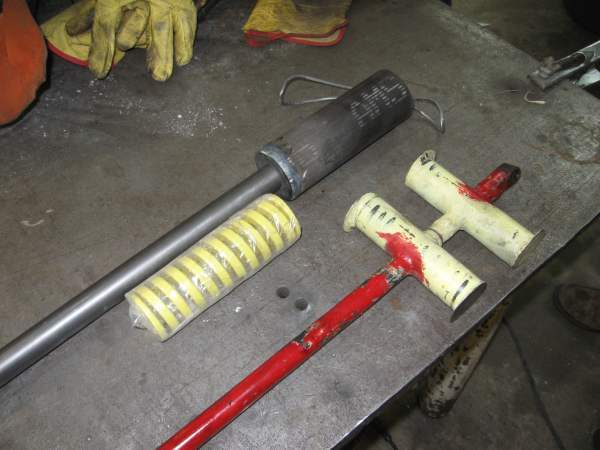 The first weld is done without the spring or 1″ tube in place. Above shows the 2″ washers welded onto the 1″ tube. The spring has to be inserted before assembly. Above is a head on view of what Vern and I were working on curing. Bobs plane flies great, but letting this go would not show well and potentially end up putting the word “Corvair” in an accident report some where. I have devoted more than 20 years of my professional life to Corvair powered planes. I am in this for the long run, and letting something like this go, even if it never broke, projects a poor image of the Corvair movement. Besides I have been friends with Bob for 13 years, and I want him to have a sharp-looking, safe plane. 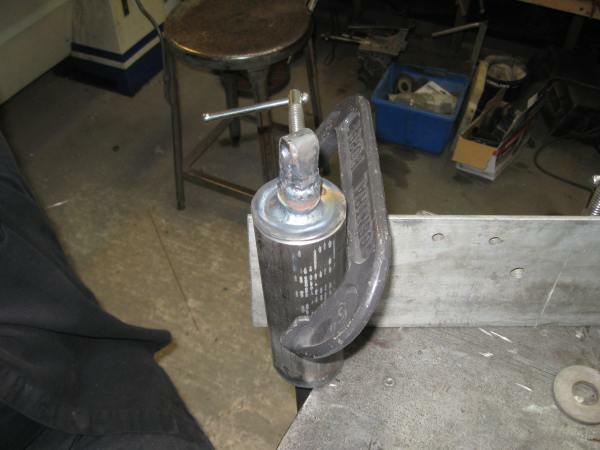 Above, top cap being welded on. You could not gas weld this without hurting the spring inside, but it isn’t an issue for a tig welder. Above, one side down, one to go. This is a significant drag reduction when you also consider the bungees bags. Heat and some oil are the enemies of the bungees. However, the steel spring would only consider getting baked and a fine mist of oil a form of love and care. Why does that long-haired, opinionated mechanic William Wynne think this system would even work? What makes him think springs are tough enough? Maybe they are no better than bungees. William’s thinking of selling kits to do this, so if he might make 25 cents, and doesn’t that mean we can’t trust him to give us an impartial review? 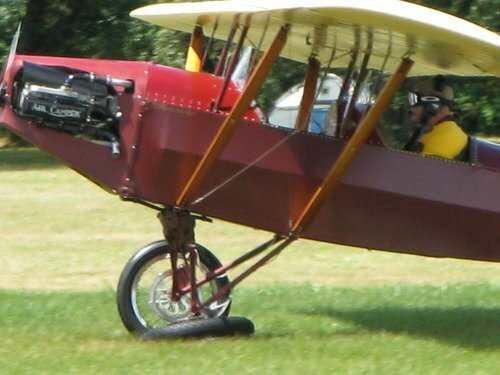 Wouldn’t I be better off taking the advice of a guy on a Matronics list who has never flown nor built one of these? That guy wouldn’t ever write back with an unsubstantiated claim would he? OK, look above. This is the underside of the hangar gang wagabond. I welded this gear up in 2004. It has flown many hours and landed at over 1600 pounds gross. It works well period. I am not a great pilot, but I was well schooled by two masters. The only time I have in my log book in any tricycle geared aircraft is a single 30 minute flight in a 1963 Cessna 150 in 1999. I went to the airport that day and my old school instructor said “There are some things you should do once in your life, but not speak of….Today you fly the Cessna one filthy.” It was hardly the trip to adult entertainment section of Bogota Colombia I first thought he was hinting at. Seriously, I have flown a number of classic conventional geared aircraft to know what a well-engineered, well-behaved one feels like. A far better evaluation is that a number of super-skilled pilots flew both my Pietenpol and the Wagabond, and pronounced them to have excellent handling. How tough are the springs? The ones in the Wagabond gear are actually salvaged from my Pietenpol wreck in 2001. They worked for hundreds of hours in the Piet, got smashed into the ground at 15 or 20 G’s, were BBQ’ed by the plane burning to a cinder, laid in a rainy field for 6 months, and then I cleaned them off and saved them for the next project, which turned out to be the Wagabond in 2004. Until they invent the elastic asbestos bungee, you can’t claim a bungee is this tough. (actually someone will, but ignore them.) Bungees are date coded. and they are to be taken out of service every few years. It may creep you out, but steel springs will out live you. Above, in the fitting process, we held the aircraft up with the hoist and telescoped the original tube bottom into the 1″ tube. We tacked it with a mig welder and rolled it back and forth to have it settle. We checked every thing with levels, and actually cut the tacks on the right side twice. On the third try the plane sat perfectly level. The struts turned out to not be the same exact length because the original builder in the 1970’s didn’t make everything symmetrical. It takes a small error here to make the plane have a wing tip an inch lower on one side. In other planes this could be completely avoided by having adjustable rod ends or forks on the ends. When perfect, we pulled them back out and TIG welded them on the bench with the proper rosette welds. Graces’s Taylorcraft and our 1-26 sit on the front lawn in the background. 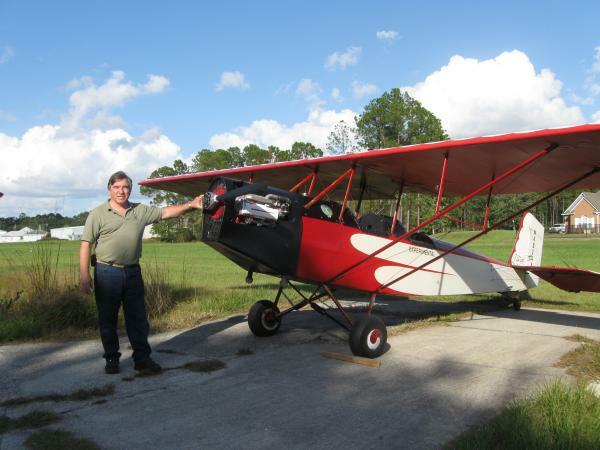 Above, Bob with his re-done aircraft. This is a radically different aircraft than it was a few months ago. It when from barely having a positive rate of climb with two people on a hot day to being able to climb 800 feet per minute at the same load and conditions. It now has safe and smart-looking gear that works correctly. The plane is 25 mph faster now on the top end. For reference, Bob is 5’7″ or so. 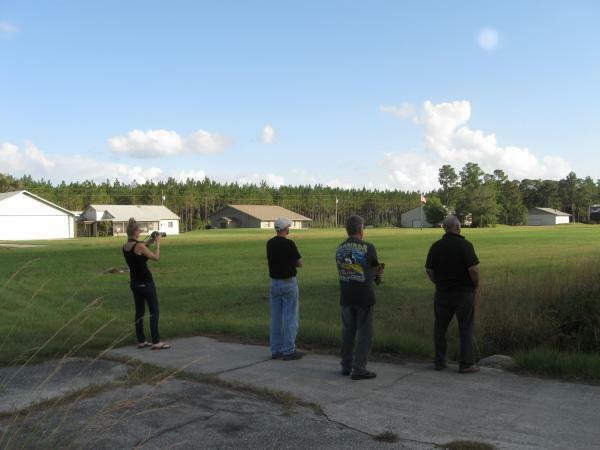 Above Grace, Chris Welsh, Terry and Vern stand at the edge of our lawn and the runway. They are watching Bobs test taxi and flight on the new gear. The plane looked so much better than it had a few hours before, I was filled with a sense of pride in the skills, understanding, tools and capability I had painstakingly worked for over the last two and a half decades. If you have never met me, but read this and think that I am charmed with myself, you got it all wrong. I know countless humans who are better people than I. They are kinder, smarter, and harder working. I can’t sing nor dance, I learn slowly, and I can’t stand to hear my recorded voice nor see my image on film. If I was once handsome, all trace of it is gone along with my uncorrected eyesight. I can be a conversational bore, and I deeply wish I had given my parents more moments to be proud of me. At 50 I look back on my life with a very critical eye and stand on the far side of a very wide gulf from the heroes of my youth. Even our dog, impeccably honest and loyal as canines are, Loves Grace and only tolerates me. In the years since I have read letters or posts from many people in a tough spot, who have sold their project or tools. I often think their ship is sinking and they have just traded their life jacket for five more minutes on the deck. I have also met a number of successful builders who have said that when everything else in there lives was broken, they had a place of refuge in work and creation. Of the thousands of people I have met in aviation, these people are truely brothers, for we share the same salvation. For these reasons, I can honestly say that the only time I allow myself to feel anything most people would call pride, is when I exercise my skill knowledge to make something good. Much of the time, this is far better in the company of Grace or friends like Vern. It’s not real often that I indulge myself for an hour and give in to being pleased with something. Maybe two or three times a year. Watching Bob’s plane fly away with the gear fixed was one of these moments. There was stuff to do, but instead we sat around outside and enjoyed the evening. -ww. Mail Sack, 10-25-12 , Kevin Purtee and Colleges. Below is a tale of adventure, penned by Kevin Purtee. He is very well known in the Pietenpol community, and in the land of Corvairs he and his wife Shelley are best known as the hosts of Corvair College #22 in Texas. 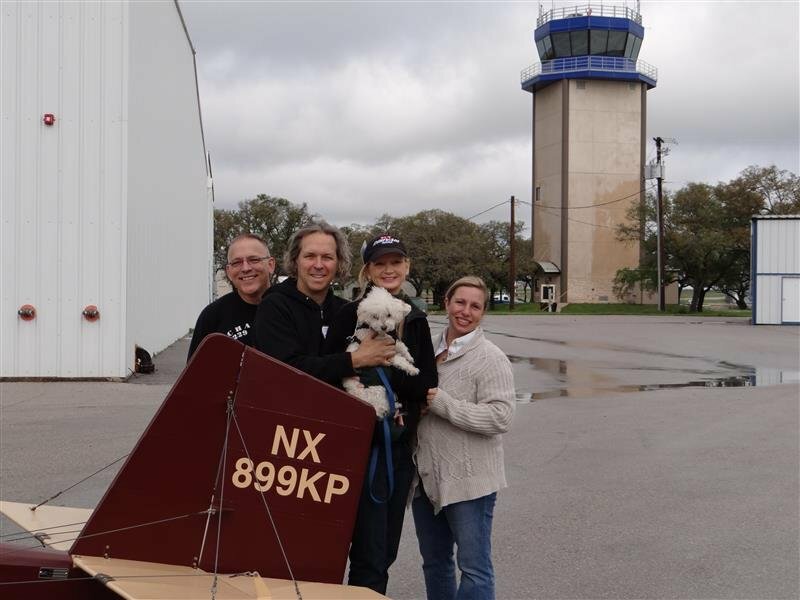 People who have met Kevin understand that he has a whole other life in a different branch of aviation, but here he focuses on his love of building and flying homebuilts. For anyone who has completed a plane, Kevin’s words will ring true. If you are still working on your first, read the story closely, it insightful and motivating. Hi Folks – Here are a few of my thoughts on the joys of homebuilding and flying. I live for the small, slow end of aviation. 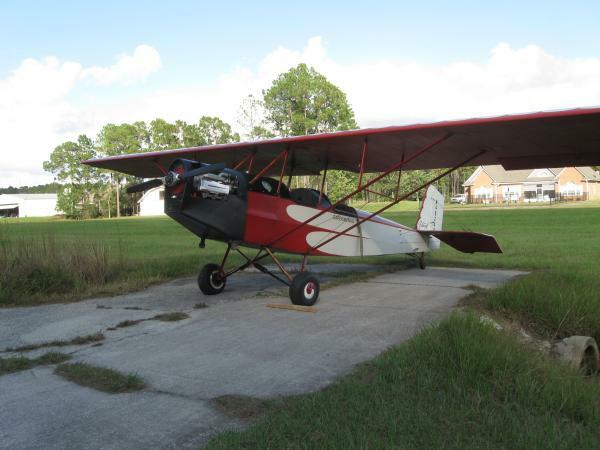 I’ve been working diligently all my adult life to create a retirement that provides the opportunity to build and fly little airplanes full time, or at least as full time as I want. I’m blessed to be able to fly at work, and it’s great, but what I REALLY want to do is spend my time building and flying little airplanes and hang out with people with the same interest. I’m very proud to have successfully completed a plans-built airplane. 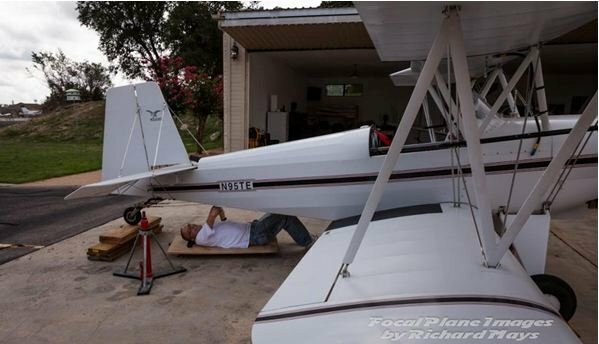 I distinctly remember my father making the comment when I was a child of 7 or 8 that people build airplanes in garages. That notion has stuck with me. I was trying to figure out what to build when the July 1992 Kitplanes showed up in the mailbox. Jim Malley’s stunning Pietenpol was on the cover. My at-the-time wife said, “That’s it!” “What’s it?” “That’s the airplane you’re going to build.” Fair enough. I bought the plans, the newsletters, the Tony Bingelis books, the AC 43.13, and several other reference books. I started cutting wood in February 1993. 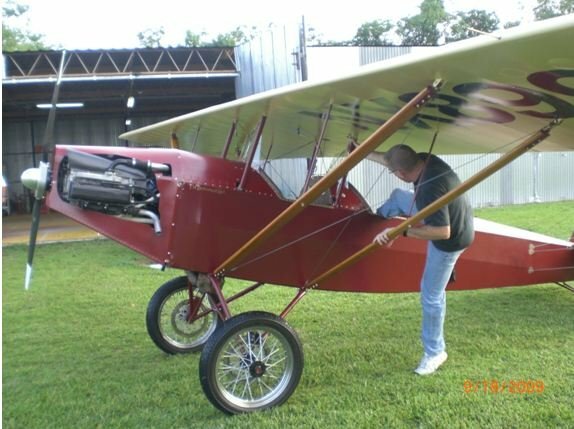 The at-the-time wife wasn’t really wild about me flying an airplane I built myself, but she no doubt thought I’d never complete it. She was wrong. (Do y’all remember the “My ex-spouse wanted me to quit flying” T-shirts that William and Grace used to wear?) I did complete the airplane, though I traded the spouse. The one I have now is as much as part of the hobby as I am. More on her later. Anyway, this is me climbing in for the first flight on 19 September 2009, 16 years and 7 months after I started building. The build took a long time – a classic plans-built project. In fairness, there was a lot of other stuff going on. I had a couple of major job changes and moves, I had multiple jobs at once, and frankly, I had other hobbies. I was also out of the country for a few years. Without all the distracters it was probably a six year build. 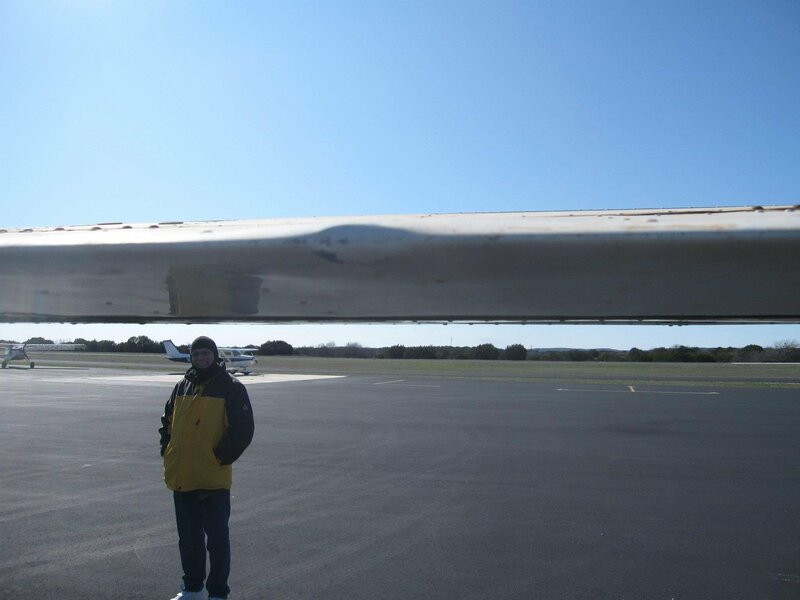 While it took me more than 16 years to build the plane, I flew the tar out of it when it was finished. In 2 years and 10 months (subtract 10 months for out of town training for work) I flew the airplane 340 hours. That’s 170 hours a year in a Pietenpol that I built myself. I flew the airplane back and forth from Austin, Texas to Brodhead/Oshkosh 2.5 times. (Current spouse, Shelley, ground crewed on all but ½ of those trips. Makes life a lot easier.) 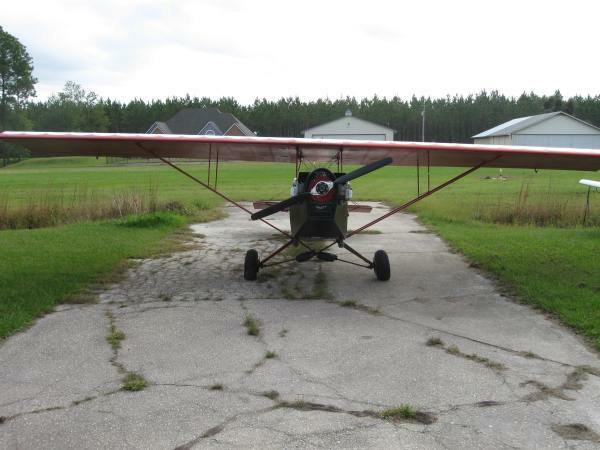 There are Pietenpols that were started in 1992, finished in 1994, and haven’t flown anywhere near 340 hours. I was making up for lost time. The bottom line on building airplanes: you’ve got to go to the workshop and build. Airplanes do not get built on the internet and they do not get built by watching TV. I encourage you (and me!) to get out there and start making parts. In 1999 I chose an engine. I found William in the back of Sport Aviation. Mr Pietenpol had used a Corvair so I felt like I was being true to the design, and William offered plans for a starter. Perfect! I tell people that I’ve been a customer and student of William’s since 1999, and we’ve become friends over the last 3 or 4 years. What’s amazing is that William taught me how to effectively convert an automotive engine for use in an aircraft remotely, and I have a minimal mechanical background. I used the GM manual, his Conversion Manual, and his website to successfully complete the motor. I used to monitor the Corvair internet discussion group, but decided early on that since William was the only one actually building and flying these motors, and the only one gathering enough useful data to be valid, that I’d stick with him. So far so good. Another unique and positive aspect of our relationship with William is that he gives us access to him and the other Corvair All-Stars for several days at a time via the Corvair Colleges. The next one is coming up in November in South Carolina. Shelley and I will be there. If you want to learn about Corvairs for flight use, this is the venue. Shelley and I hosted a College earlier this year and we had a blast. I cannot emphasize this enough: Corvair Colleges are extremely helpful. Kevin, William, Grace, Scoob-E, Shelley. I enjoy the pleasant aspects of flying. I love flying on a crystal clear day with no wind and smooth air. I love flying at 500 feet and looking around. It brings me pure joy. I also love traveling with friends for the $100 burger. What a blast! Matt, Pete, Kevin and The Law on one of our many flying adventures. I intentionally challenge myself with lots of takeoffs and landings in lots of varied conditions. Good or bad, I like it when people comment on how windy it is when I walk into the FBO. I like turning the motor off on final when I’ve got the runway made (ignition back on, hand ready at the starter). There are challenges in the hobby. This is a picture of the most frustrating day of my life. The left landing gear gave out at the 2010 Pietenpol fly-in at Brodhead. I learned to weld on this airplane and in this case it showed. It’s a tribute to the people in this hobby that we recovered so quickly from this event. One of the local guys at Brodhead, Matt Smith, my hero, repaired the gear that day and I was flying the next day. We subsequently took the airplane to Oshkosh and then back to Austin. I made the permanent repair to the gear and went on to make several hundred more landings without the gear giving way. My welding’s gotten better, by the way. I am speaking of the airplane in the past tense because I wrecked her coming home from Brodhead this year. There was water in the fuel. As I was taking off from Brodhead the engine started losing power. I tried to turn back to the airport and ended up in the classic stall-spin scenario. The airplane and I were both damaged badly. The way I describe it sounds simple, but there are several layers of subtlety that require a more thorough explanation. If you want to talk to me about it please come to Corvair College 24 and I’ll spend all the time with you that you need. If you absolutely just cannot make it to the College (a mistake), then e-mail me at kevin.purtee@us.army.mil. I told you that I love aviation. The accident was 3 months ago and I was hurt badly. Here’s a picture of me flying my friend’s Wichhawk a month ago. 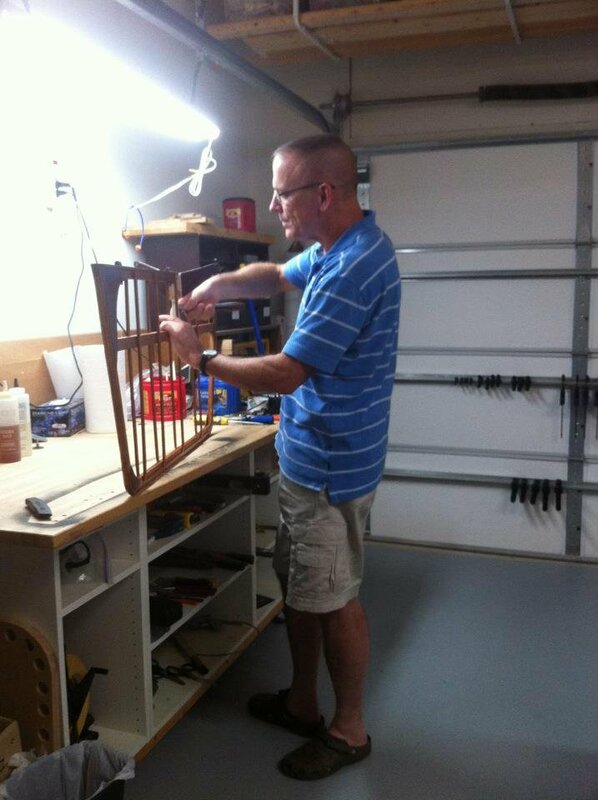 And a picture of me working on the Wichhawk two weeks ago. And a picture of me rebuilding the Piet 3 weeks after the accident. By the way, I received medical clearance to start flying for my job last Friday. The flight doc kept telling me not to rush it. I’m not. I’m ready to fly. I proved my point this way: the last test was the flight doc telling me I had to drag him through the parking lot, up onto the building porch, and then into the exam room at the end of the hall. The exercise was designed to prove I could pull people out of an aircraft in the event of an accident. I pointed out that I could not drag him like that BEFORE the accident. Fortunately, he had a tiny co-ed student shadowing him. I asked if I could carry her instead of him. He agreed. I picked up this tiny young woman, ran through the parking lot, up the stairs, through the door, and down the hall into the exam room. The entire flight medicine cadre for the organization was in the hall as I ran between them, laughing, with the young woman in my arms. I think that single event convinced them that I was ready and fit to fly. I bring all these items up to make one point: flying is fun. I love to do it. I will not stop doing it unless I’m incapacitated. The accident was neither fun nor pleasant, but I know what happened, know what to fix in the future, and I’ll keep flying. A lot of people build airplanes and then are afraid to fly them. Got it. It can be scary sometimes. The only way to solve that, move on, and get better is to GO FLY! I found one major aspect of my professional flying to be very difficult when I first started. I vowed to get better at that aspect. The only way to get better is to practice. 25 years into the process, I’ve developed a lot of skill in that flight mode, and I am, at best, a pilot of average abilities. William made a post about Claire Jeffko and her understanding of her late husband’s overwhelming need to fly. I am fortunate in that I am married to someone very similar to Mrs. Jeffko. Took me three tries, but I found her. Here’s an example: Shelley rode with me in the ambulance from the site of the aircraft accident to the medevac helicopter. 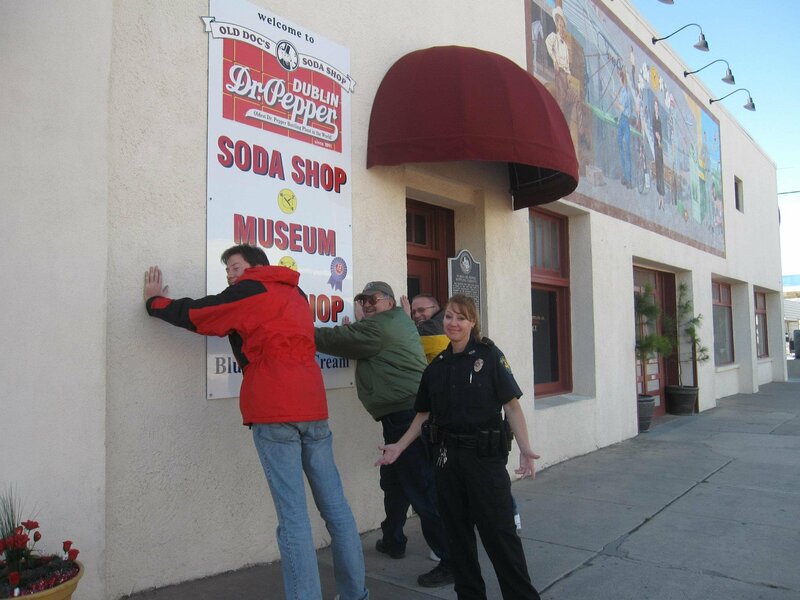 One of the first things we talked about, literally, was rebuilding the Pietenpol. She knows what this means to me. Some of you may not be so blessed. I’m sorry. Ply your significant other with gifts, bring them to a Corvair College so we can charm them, and work on them yourselves. 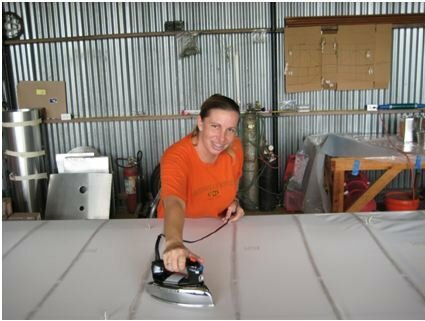 Here’s Shelley ironing fabric on the wing. She rocks! Most of you already realize that the internet is a double-edged sword, particularly if you’re new to a subject. The quality of information and advice ranges from wonderful to criminal, and it’s often hard to tell who has good advice. The good news for the Corvair world is that William is here to offer large doses of truth based on experience. He makes the point that he wants us to fly proven, reliable (boring) equipment. Darn straight! There’s enough experimenting going on without trying to convert a Corvair to a turbo-prop. Log off and build. When your airplane flies, you’ll get back on the list and find the same people arguing about the same things and that they haven’t finished anything. What’s the point to all this blather? Go build. Go fly. You’ll love it. “Certainly real love is not possessive but giving and honoring of another’s dreams,hopes and aspirations. Edi and I will celebrate our 41st anniversary in November and that journey has seen individual and shared endeavors. In all of those instances it was a matter of wanting each other to go forward and grow with rich experiences. We also succeeded in passing that on to our four children who now as adults continue in the same manner. Our shared interest in flying and building is itself a continuation of lifelong plans that are finally finding expression. We will run with that and enjoy the experience of learning new skills, meeting new people and making new friendships. “I’ve enjoyed showing the below to my two young daughters, hoping to inoculate them a bit against consumerism. “Always great to get practical tips and the reasons why. I was thinking about using the stock temp probe location, but everyone in aviation seems to use the spark plug, so that is how the sensors are designed.